Volgograd is a must-see destination for everyone interested in the history of the Second World War. The city has long been famous as a hero city and most of its attractions are directly related to the events of the Great Patriotic War and, in particular, the Battle of Stalingrad. The Battle of Stalingrad in World War II was one of the largest and bloodiest battles in the human history. After their defeat at Stalingrad, the German High Command had to withdraw vast military forces from the Western Front . Almost 90% of Stalingrad was burned and demolished. After the battle the city looked like ruins, but against all odds the city was reborn from the ashes. 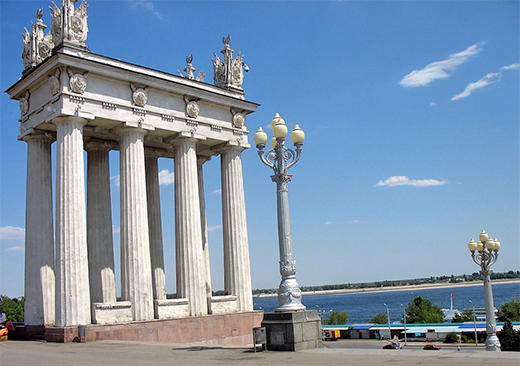 Did you know that Volgograd is one of the longest cities in Russia? The city extends over 60 km along the banks of Volga River. Apart from numerous war history attractions Volgograd boasts of impressive river views and wonderful opportunities of boat excursions.